The quality and high technology of Febex products and services are a value and strategy that are reflected by certifications and adapted equipment. A true core strategy for Febex, quality is a value adopted by its employees. A well-managed supply enables the elimination of all sources of impurities. Febex demonstrates its commitment through its ISO9001 certification. 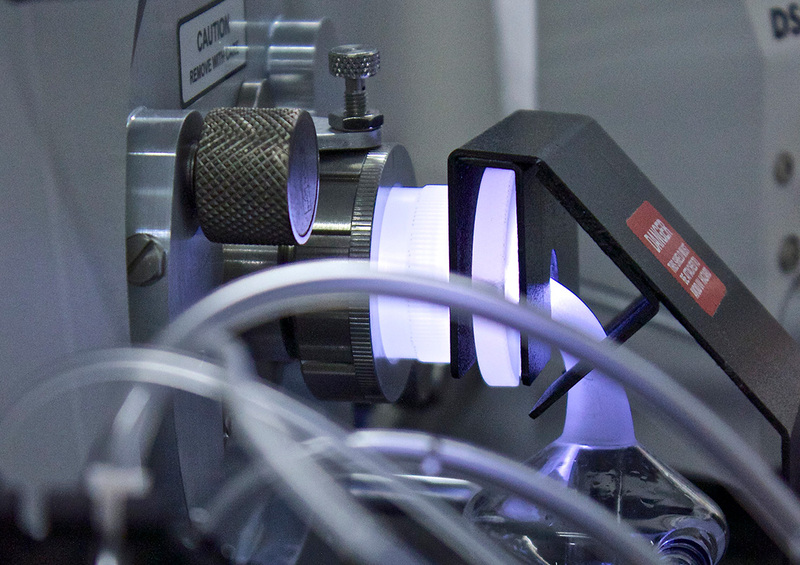 Our laboratory’s measuring devices are adapted to the purity requirements required by our high-tech markets. We also have our own clean room for conditioning. 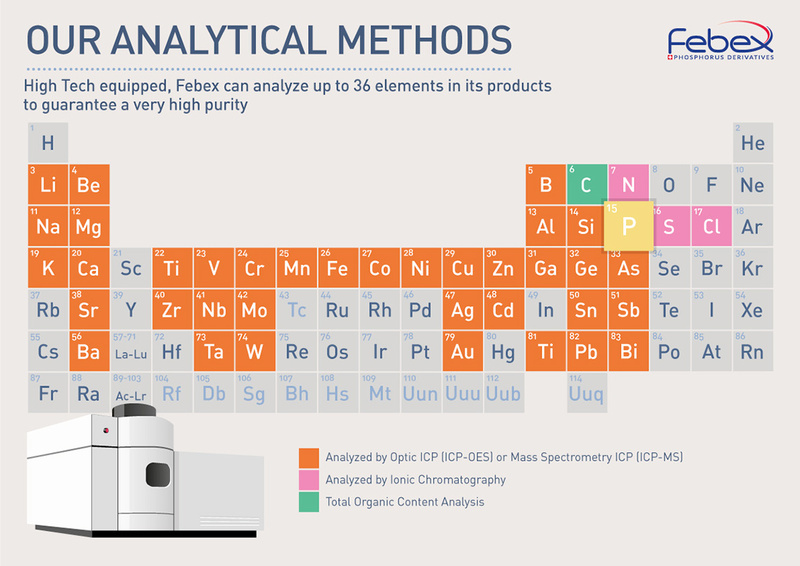 Febex’s analysis laboratory acts as a support function at all levels of the value chain: quality management, monitoring of production, innovation, supply… It is implicated in each quality control process, from the raw material to the finished product, thanks to state-of-the-art technical equipment. All the analytical data has been compiled in a database for many years. This wealth of information enables us to periodically establish statistics, a very efficient tool for evaluating the stability of our production. It all starts with the choice of suppliers, in terms of quality, security of supply, and price. All our raw material goes through a strict approval process. Febex makes sure it has several approved suppliers for each raw material. 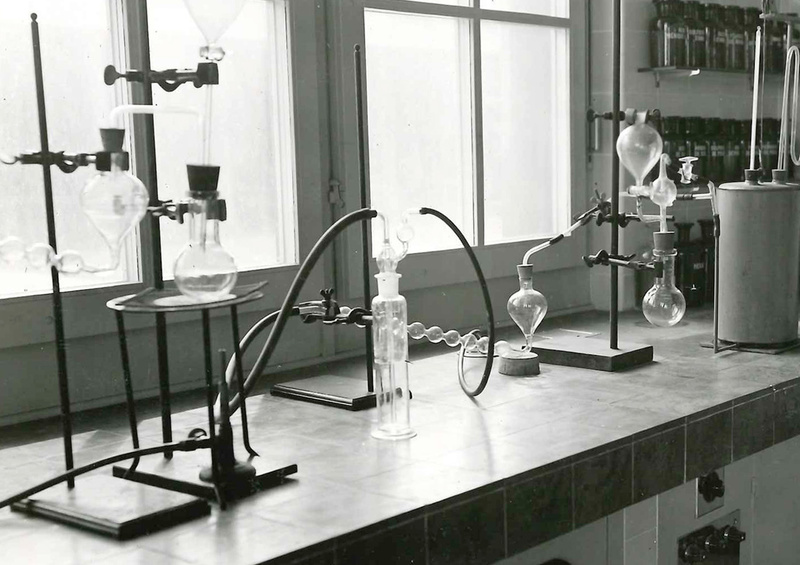 Furthermore, each supply of material is systematically analyzed in-house. This procedure guarantees complete traceability, guaranteed by the Febex laboratory, thanks to all the associated analyses. We guarantee the quality of our products through various commitments. Our entire production site is certified ISO 9001, ISO 14001 and OHSAS 18001. All our products are compliant with the European regulation REACH. In order to guarantee the quality and purity of our products up to the conditioning stage, Febex has its own clean room, thus excluding all risks of contamination. The air quality is guaranteed by a particle filter and monitored by a counter. 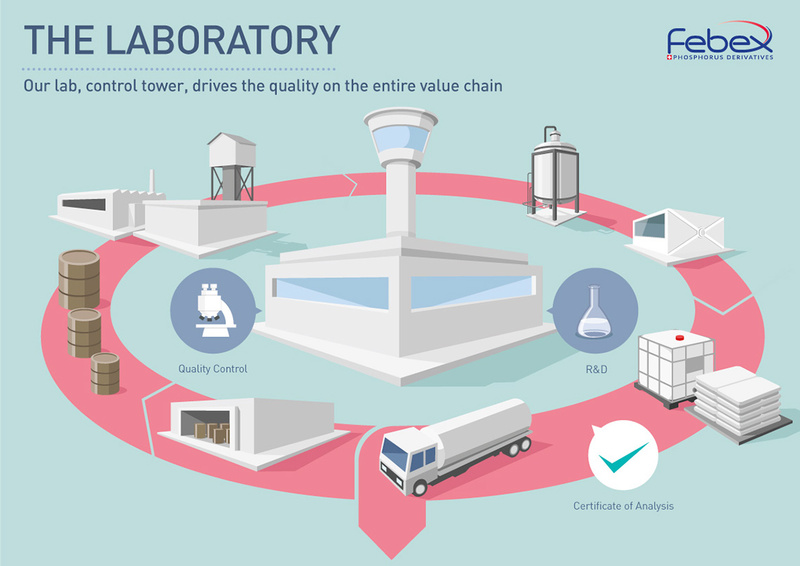 Febex’s “Control Tower”: our quality analysis laboratory continuously monitors the flow of material with state of the art technological equipment. Febex can thus guarantee content of the order of the ppb, i.e. 1 mg per ton. The Certificate of Analysis is issued based on the final sample, obtained just before conditioning. The entire production chain, including analyses, raw materials, intermediate and finished products, is recorded to enable complete traceability. All the information is stored in a database, and statistical analyses are carried out regularly. The consistency and the stability of our products are promoted. Any deviation from the process is immediately detected: the database enables extreme reactivity in corrections. The acquired expertise is a source of innovation.